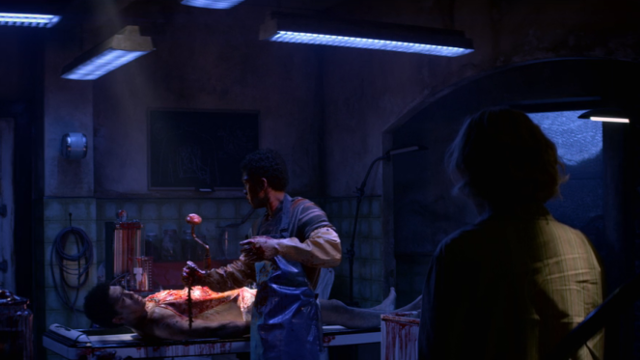 After releasing the demon from Edward’s puzzle in the previous episode, the Spellmans are under attack in Chilling Adventures of Sabrina season 1 episode 5. The demon Batibat lulls victims to sleep, then preys on their nightmares. The Spellmans put a ward around the mortuary, locking the demon inside. Thinking Batibat contained, the family goes to bed, not realizing that Batibat is using them to break the spell and allow her loose into the world. 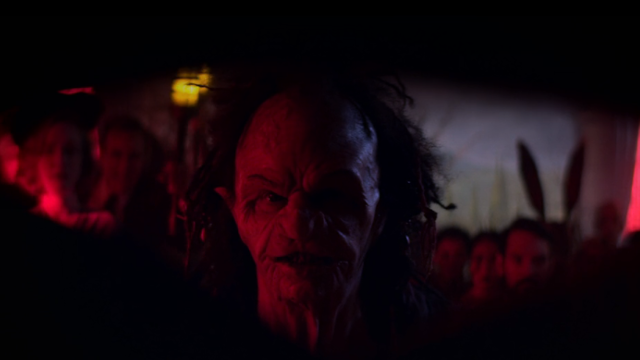 Using the mirror to spy on Sabrina, Wardwell spots Batibat and warns the demon not to harm Sabrina. Batibat, still angered at having been imprisoned, says that she’s going to get a Spellman to break the ward around the mortuary, then slaughter them all. Wardwell projects herself into the nightmares, searching for Sabrina in order to free her from Batibat. 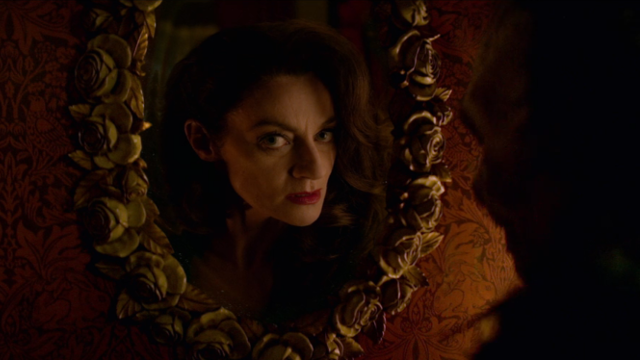 Doing so reveals that she is not a mortal, leading Sabrina to demand Wardwell explain who and what she is. With Wardwell’s help, Sabrina awakens from the nightmare. Both Wardwell and Salem tell Sabrina to run, but Sabrina puts herself back to sleep in order to traverse her family’s nightmares so she can find a way to bind Batibat. Creating a dream catcher with the help of Aunt Hilda’s spider familiars, Sabrina captures Batibat, breaking the demon’s hold over her family. 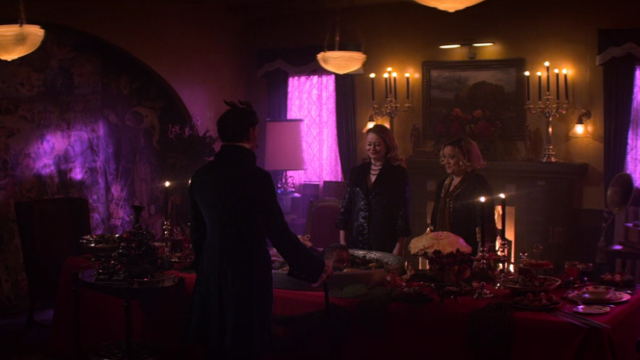 Aunt Zelda dreams that the Dark Lord is coming to dine with she and Hilda. Zee slaughters a child to roast for the Dark Lord, but in her haste to impress, Zee kills a witch child instead of a mortal. The Dark Lord shuns Zee and favors Hilda, who offers a vegetable pie, in a twist on the Cain and Abel story. Zee kills Hilda. When the Dark Lord returns and asks after Hilda, Zee says that she’ll be back. Hilda always comes back. The Dark Lord says not this time. Hilda won’t be coming back again. When Sabrina enters Zee’s nightmare in search of a way to trap Batibat, Zee is inconsolable about how she has treated Hilda and unable to help Sabrina. Hilda dreams of a life where the mortal Principal Hawthorne is romantically interested in her. Zee verbally bullies and abuses Hilda, who weaves Zee’s mouth shut. Hilda has a wonderful date with Hawthorne. He escorts the drunk Hilda home and tucks her into bed. The next morning, Hilda awakens to Hawthorne telling her about how he ate his stillborn twin brother while in the womb and shows Hilda the face growing out of his chest and abdomen. Hilda is horrified to find that as she slept, Hawthorne stitched Hilda and Zee together, so that Hilda will be just like him. When Sabrina comes to Hilda for help, Hilda suggests that the way to catch a nightmare is the same way you catch a dream. Hilda tells Sabrina that the spiders will help Sabrina weave a dream catcher to trap Batibat. Ambrose dreams that he is taking care of his own corpse in the mortuary, left to ponder existential questions about life and love. Sabrina comes to Ambrose for help in distracting Batibat while she readies the trap. Ambrose tricks the demon by offering her a fake spell to break the enchantment over the mortuary, buying Sabrina the time she needs. 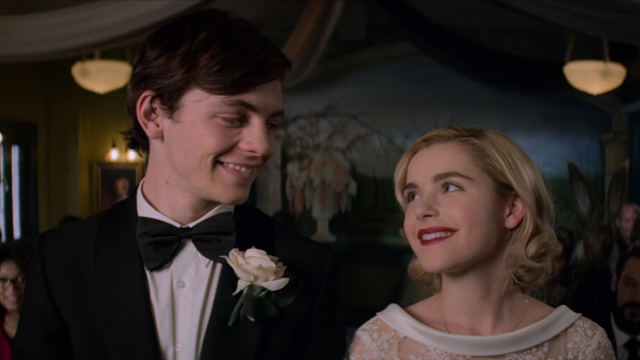 What did you think about Chilling Adventures of Sabrina season 1 episode 5? Let us know in the comments below! The post Chilling Adventures of Sabrina Season 1 Episode 5 Recap appeared first on ComingSoon.net.